Save time... Fillable PDF templates with examples you can copy! "The Digital Navigator’s knowledge of marketing design and expertise to implement business strategies has been a tremendous advantage for our business. I highly recommend them to perform digital marketing work to improve their branding, sales, or operate more efficiently!" 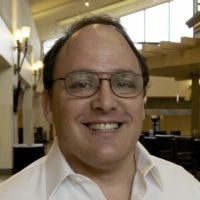 Jim Traister President of HospitalityFan, Inc.
Watch the explanation video on the page after you request the Sales Funnel Templates Pack. Download the pack. If you don’t have an existing funnel, then start filling out the Sales Funnel Stages from the top down or using one of the pre-filled examples. If you have an existing funnel or sales system, start by filling in the templates with your assets to identify the weakest links. Create and allocate project tasks to implement the assets of your new funnel or to optimize your existing funnel. 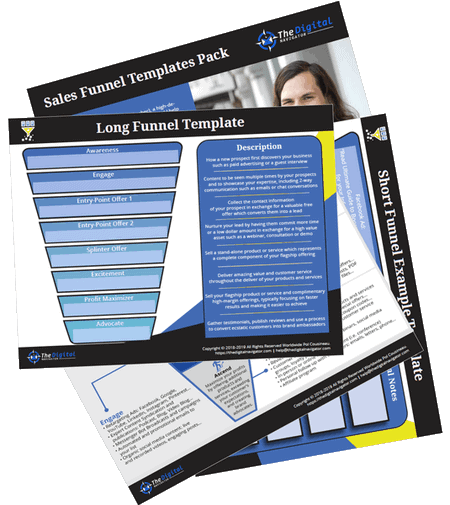 Yes, Send Me Sales Funnel Templates! 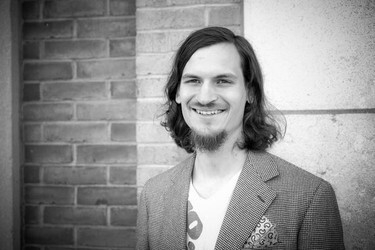 He's also a Direct Response Copywriting Specialist, Customer Value Optimization Specialists, Conversion Optimization Specialist, Customer Acquisition Specialist, Content Marketing Specialist, Analytics & Data Specialist, Ecommerce Specialist and Email Marketing Specialist certified by Digital Marketer in addition to using the Ask Method 2.0 formula to build a personalized experience for your clients and visitors.